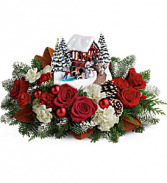 Create warm memories with style! 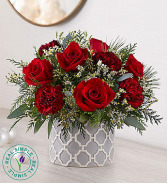 All around arrangement with red roses; burgundy carnations; white filler accented with seeded eucalyptus and assorted winter greens. 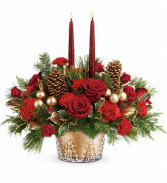 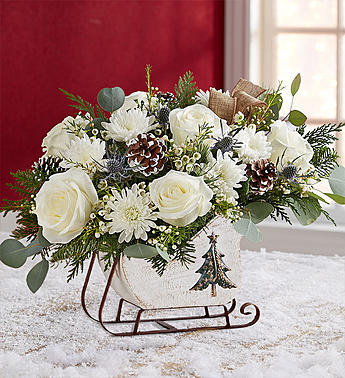 Dress up your holiday celebrations with this elegant Christmas bouquet, beautifully hand-arranged in a gorgeous glass bowl and finished with two red taper candles.